anyway, here's the first: a zack o'lantern. 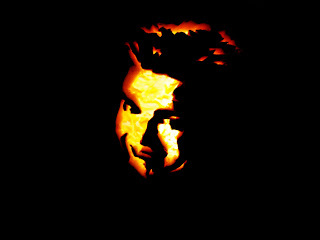 zack morris from "saved by the bell" carved on a pumpkin. for real though, i'm so excited, i'm so....scared! obama bake sale tonight in cap hill!